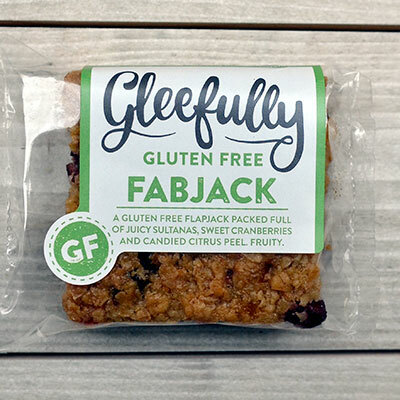 A gluten free flapjack packed full of juicy sultanas, sweet cranberries and candied citrus peel. Fruity. Handmade in our dedicated gluten free bakery.